Why is coral growing in the desert? 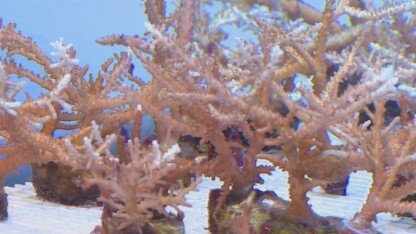 Coral farmer Assaf Shaham shows CNN around his desert farm where he grows medical coral. CNN's John Defterios explores how Eastern Mediterranean countries are making new investments in energy. The biggest spending tourists on holiday are now the Chinese. CNN's Kristie Lu Stout reports. CNN's John Defterios meets the CEO of Turkcell -- the first and only Turkish company listed on the New York Stock Exchange. CNN's Leone Lakhani meets Michel Elefteriades who made a successful career out of music. CNN's John Defterios explores how improved internet access is boosting the tech industry in the Middle East. CNN's Samuel Burke explores how the decline in foot traffic to stores signifies a shift in the way consumers shop and buy. CNN's Amir Daftari explores the role of the sport on Abu Dhabi's bottom line. CNN's John Defterios sits down with Bijan Zangeneh, Minister of Petroleum for Iran to talk about the impact of sanctions. CNN's John Defterios goes behind the scenes of the OPEC meeting in Vienna. CNN's Reza Sayah looks at the surge of the country's steel industry which is thriving despite western sanctions. U.A.E Energy Minister, Suhail Al-Mazrouei talks to CNN about the difficulties of stabilizing the oil market. CNN's John Defterios speaks with Boeing's CEO & Chairman Jim Mcnerney. CNN's Amir Daftari explores the ups and downs of the Dubai International Financial Centre which was created in 2004. Bahrain recently held a conference on how to best tackle ISIS with delegations from over 30 countries. CNN's John Defterios reports. CNN's John Defterios speaks to Turkish Finance Minister Mehmet Simsek about the country's growing pressures. CNN's Jon Jensen explores why marine biologists believe the sea's biggest fish is attracted to the world's largest gas field. The Gulf States have spent a lot of money on infrastructure in the last few years. But the days of big time spending could be numbered. CNN's Amir Daftari checks out the growth of Dubai's booming nightclub industry. CNN's John Defterios meets Aliko Dangote who made his 20 billion dollar fortune in cement, flour and sugar. in 2009 the city defaulted on billions of dollars -- resulting in a crash that knocked up to 60% off the value of properties. The UAE is investing billions of dollars into Fujairah to make it an oil and gas distribution point. Fujairah, one of seven emirates which make up the UAE, is putting new meaning into the saying "build it and they will come." CNN's John Defterios looks at the current demand for gas and how that impacts relationships across the world. Only one out of 5 women in Saudi Arabia work. Now the Kingdom is looking to change that. CNN's John Defterios reports. In a country where women aren't allowed to drive, a female engineer is showing her male colleagues a thing or two. CNN's Marketplace Middle East travels to Saudi Arabia's eastern province to find out how it is attracting new businesses. 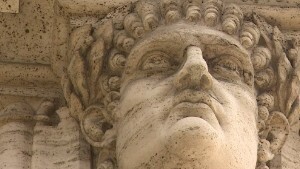 CNN's John Defterios reports on whether Egypt is a good place to invest after the Arab Spring. CNN's John Defterios meets with Diego Della Valle, owner of Italian luxury brand Tod's. An Israeli company is farming coral reefs for medical purposes. Ian Lee reports. Gaze across the Riyadh skyline and one building immediately demands your attention. CNN's John Defterios talks to HRH Prince Alwaleed Bin Talal Al Saud about how to deal with the Islamic State. CNN's John Deterios looks at plans to open the stock exchange to international investment in 2015. Saudi Arabian businessman Prince Alawaleed bin Talal speaks about ISIS and its global impact. A cold morning mist hangs over row after row of deep purple grapes -- a scene ripe for thoughtful contemplation. CNN's Ian Lee travels to the Golan Heights to explore wine making during war. ISIS may not be an oil major but has a revenue stream of over three million dollars a day. CNN's John Defterios reports. On a man-made island in the Middle East, the world's newest super mall sits empty -- for now. Yas Island is bringing a massive mall to the capital of the UAE. But is there enough demand to fill it? In spite of local unrest, luxury property development across the region is on the rise -- and so are prices. John Defterios looks at how oil exports fuels the terror organization's growth. John Defterios looks at the country's economic future after Erdogan's move from prime minister to president. Recep Tayyip Erdogan was officially sworn in as Turkey's new president Thursday after comfortably winning the country's first direct vote to decide its head of state earlier this month. The appointment could see the 60-year-old former semi-professional football player remain at the top of Turkish politics for at least another decade. In Lebanon's picturesque Bekaa Valley, life moves at a gentle pace. CNN's Leone Lakhani explores how local wine makers are getting their bottles on shelves abroad. Leone Lakhani speaks with Wamda's founding CEO Habib Haddad about the challenges facing entrepreneurs in the Middle East. CNN's John Defterios explores what Recep Tayyip Erdogan's transition to president means for Turkish economy. He is skilled at the "throw-down," a move that gets you on a skateboard at near full speed. CNN's Reza Sayah looks at how skateboarding culture is taking off in Tehran and beyond. Business leader and industrialist Mohammad Reza Najafi says foreign companies should not be afraid to invest in Iran. The ancient town of Byblos has long been a draw for visitors to Lebanon's picturesque west coast. CNN's Leone Lakhani explores what it takes to put on the annual Byblos International Festival. Roger Edde wants to turn around the fortunes of his hometown of Byblos. The horrific loss of life from the three week conflict in Gaza can never be valued -- but the economic fallout from war is also devastating the local population. Gaza's marine gas field was discovered in 2000. But politics and the conflict with Israel have delayed its development. Marketplace Middle East explores the physical and economic toll on Gaza from years of conflict with Israel. French baguettes and pastries aren't the traditional bread of choice in the Middle East. Saudi Arabian Bateel brand is best known for its delectable dates but it now has more than a dozen cafes and a new bakery in the works. CNN's John Defterios talks to the Jordanian Minister of Labour, Nidal Katamine about his country's unemployment battle. Caught between Syria's civil war and the burgeoning instability in Iraq, Jordanian farmers are suffering. CNN's John Defterios reports. In the Mafraq region of northern Jordan, it's not unusual to witness a shepherd guide his flock along a busy highway. With Syria on one side of Jordan's borders and Iraq on the other, CNN looks at the pressure mounting on a country between conflicts. CNN's Randi Kaye explores how the group is getting the money to fund its insurgency. In Egypt, thousands of pigs were culled five years ago under a swine flu scare. Now breeders are trying to rebuild an industry that almost died. CNN's John Defterios speaks with Turkish Airlines CEO Temel Kotil about the secret behind the airline's success. Turkish Airlines has gone from strength to strength in recent years, adding new routes across Europe and Asia as well as expanding into Africa. Marketplace Middle East visits a UAE based district cooling company, that has been keeping temperatures down indoors for years. When Qatar won the bid to host the 2022 FIFA World Cup there was much pomp and pageantry in the tiny Persian Gulf state. Call it a perfect market storm of wealth creation. Both the UAE and Qatar have received an upgrade by market index group MSCI. CNN's John Defterios reports. CNN's Leone Lakhani explores how comic books are taking off in the Middle East. Leone Lakhani looks at Qatar's brand new Hamad International Airport and the revamping of other airports in the region. CNN's Reza Sayah looks at one of the biggest challenges for Egypt's presidential candidates, the economy. Marketplace Middle East explores how the upcoming election could affect the political situation in the country. Lukoil has exploration projects in over a dozen countries worldwide and now runs all its overseas operations from Dubai. Since the 2011 revolution, Egyptians have seen near non-stop protests, the toppling of two presidents, six elections, and a seemingly endless political crisis. The CEO of Standard Chartered Bank on how the next Indian Prime Minister could turn around the world's tenth-largest economy. CNN's John Defterios talks to Britain's former Prime Minister about the threat from radical ideologies. There are more than two million Indian workers living in the UAE sending almost 8 billion dollars in remittances back home every year. Dubai Creek was once the heart the Gulf emirate's business activity, where boats and barges sailed along transporting goods and people to foreign ports. Last week, the International Monetary Fund (IMF) released its latest "Middle East and North Africa Economic Outlook" report. Generating growth in cities with political turmoil. CNN's John Defterios has more. The latest on travel trends and destinations. CNN's Leone Lakhani has more. It's the weekend in Cairo and the city's upper crust is letting loose at The Garden, one of the latest night-time spots to open in the Egyptian capital. As the legend goes, it all started with two Americans living in London in search of a good burger. John Defterios explores the rise of franchise brands in the region, including the Hard Rock Cafe. Ian Lee explores the Egyptian capital's night life which is picking up after 3 years of political turmoil. Cyprus' President Nicos Anastasiades explains how the country is forging new ties. CNN's John Defterios explains. CNN's Arwa Damon looks at how the country prepares for its first election since the withdrawal of U.S. troops. It may be early days in the quest for energy underneath the crystal blue waters of the Mediterranean -- but the eventual bounty may be sizable for Cyprus. A haunting moon rises over a darkened stage, bouquets of flowers masquerade as elaborate head pieces while a fair-skinned model smiles through a mask of colorful jewelery. A British luxury retailer known for high-teas and hamper baskets opens its first ever shop abroad. John Defterios reports. Already the world's second biggest retail destination, the city is investing in a semi-yearly fashion event for regional talent. Leone Lakhani reports. After almost three centuries at the heart of London's busy Piccadilly retail district, Fortnum and Mason is broadening its horizons. Rotana Hotels was born in Abu Dhabi 20 years ago. It now competes with the big players in the industry. CNN's John Defterios reports. Ras Al Khaimah is known as a quiet northern Emirate, but that could soon change. CNN's John Defterios reports. The United Arab Emirates is playing host to a huge corporate party this week. Hotel lobbies and shopping malls are flooded with Chinese guests and the Dubai-Abu Dhabi highway is dotted with long rows of buses branded "2014 Nu Skin Success Trip" in English and Arabic. With sparkling new air hubs and new tourism opportunities, some of the world's biggest hotel brands have spied the perfect opportunity to pitch up in the Middle East in recent years. CNN's Leone Lakhani explores how job creation remains a major concern in the Middle East. Knot Standard co-founder Tarig El Sheikh talks about his online-based business which sells bespoke suits on a budget. John Defterios visits the region's largest art scene and explores how the Emirate is positioning itself as a hub between East and West. Marketplace Middle East looks at how taste in the region is evolving. Three neighboring allies have withdrawn their ambassadors from Doha after a rift over its foreign policy. Leone Lakhani reports. Former U.S. Secretary of State James Baker talks about the country's interim nuclear deal with the West. The country's military backed government resigned this week and there are a growing number of labor strikes. Leone Lakhani reports. Nic Robertson reports on a movement that calls for the boycott of companies out of Israeli settlements in the West Bank. 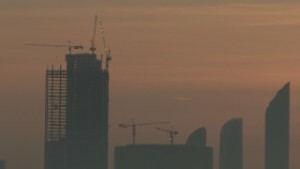 Dubai is buzzing again after a financial crash more than four years ago. CNN's John Defterios reports. Marketplace Middle East speaks with local movers and shakers who reflect on the city's economic outlook. Marketplace Middle East looks at Iran's interim deal with the West as the country looks to attract overseas investors and businesses. CNN's Jon Jensen looks at what it takes to keep Dubai's Burj Khalifa in top condition. U.S. Senator John McCain talks about sanctions on Iran and the country's regional role. CNN's John Defterios reports. CNN's Atika Shubert visits Jordan's Zaatari refugee camp where a start-up culture has emerged. Leone Lakhani visits Bahrain's International Airshow and explores the country's efforts to attract more foreign investment. CNN's Ivan Watson looks at how the country's political situation is hitting the economy. Ian Lee looks at how the political turmoil is affecting the country's bottom line. What happens if Iran's economic sanctions are lifted? John Defterios speaks with Ian Bremmer, President of Eurasia Group. John Defterios speaks with the Executive Director of the International Energy Agency about Iran's energy potential. CNN's John Defterios explores the region's economic outlook for 2014. For the first time in 75 years, the emirate of Abu Dhabi is offering licences to operate some of its largest oil fields. For most people working in the United Arab Emirates, the holy month of Ramadan is a restful time. It is a month of fasting, reduced working hours, family time and quiet religious contemplation. The Arab Spring toppled regimes in power for decades within only months of each other. The legal battle being fought by former Egypt president Hosni Mubarak under charges including being complicit in the killing of protestors will sustain a climate of uncertainty for the country's president Mohamed Morsy. Four decades ago it was merely barren desert land. Four years ago it was at the height of an unparalleled economic boom that turned to bust amid the global financial crisis. Today the emirate of Dubai is staging a lively comeback, once again announcing the kind of ambitious plans that made it famous in the first place. High U.S. taxes and political indecision are hindering the country's economic recovery, the head of General Electric has told CNN.